Beautiful specimen! 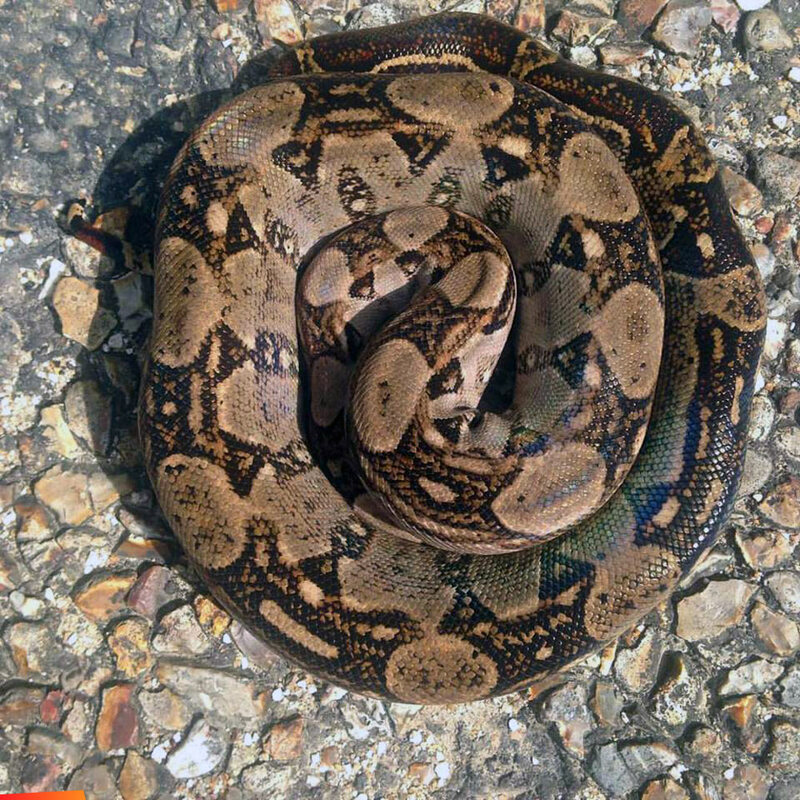 Boa Constrictor taking a nap on the road in front of Black Orchid Resort! We moved it to the roadside before anybody could run over it.